22 days and 4 pages later, the thread came to a natural close, and, as we’ve come to expect from this community, the (vast majority of) answers were well thought out and showed an accurate and deep understanding of the game. Now, without giving too much away, I can tell you that… five of the above seven suggestions made it through to the final product! 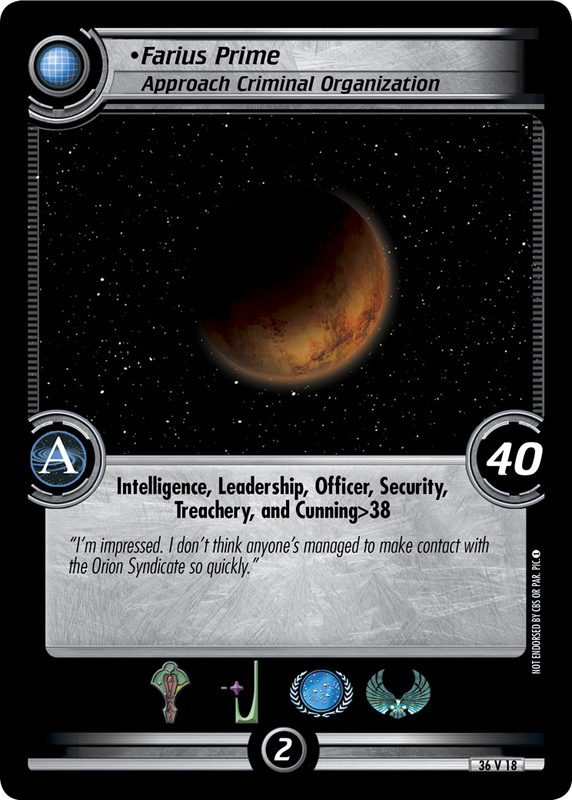 Stating the obvious: it’s a 40 point, vanilla, planet mission requiring Intelligence that’s attemptable by all the affiliations you’d expect (and maybe one you wouldn’t), and looks like it was specifically made for Korinas, Lance Cartwright, Leyton Founder or Sela. Is this along the lines of what you were after? Seriously, guys and gals, thanks for your efforts and suggestions, and we hope you enjoy it.